UK Motorbike Forum : My other forum is about knitting. How to support a bike to remove rear shock? 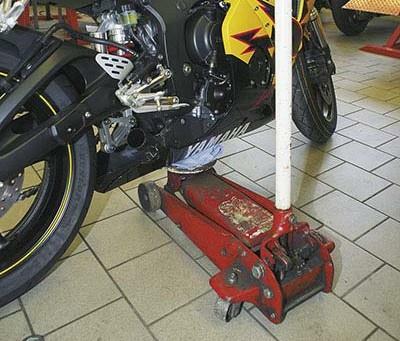 Thread: How to support a bike to remove rear shock? Re: How to support a bike to remove rear shock? Another vote for Abba stand, I've done loads of jobs on my bike with the Abba and it's safe and secure. Very sound and solid way of supporting the bike. 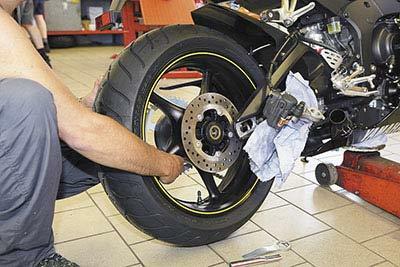 The side stands on ducatis are often made from a light alloy and i know of cases where they have failed from jacking the bike up in conjunction with the stand. On some ducatis, the side stand is bolted directly to engine so any misuse can lead to a cracked crankcase.